London, 23 February 2011 – eCOGRA CEO and the Chair of the CEN workshop agreement on “Responsible Remote Gambling Measures”, Andrew Beveridge, today welcomed the publication of this first Pan-European consumer protection agreement by CEN. CEN is the European Committee for Standardisation, one of three European Standardisation Organisations officially recognised by the EU (http://www.cen.eu/). CEN draws up voluntary technical specifications, such as a CEN workshop agreement, to help facilitate a single market for European industry and consumers across its members in 31 European countries. This CEN workshop agreement on “Responsible Remote Gambling Measures” (16259) defines 9 policy objectives for the protection of online players in the European Union and 134 concrete measures to ensure that those objectives are actually met. 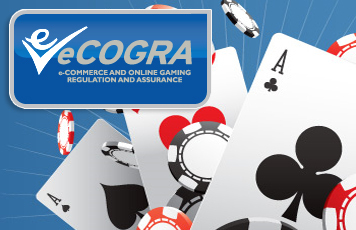 CWA 16259 shows consensus across a wide range of remote gambling stakeholders – from experts on problem gambling and players to industry representatives and addiction and criminology academics – showing that there is real desire to work together to ensure consumer protection issues are fully addressed as important EU developments unfold.